If you are a die hard Ratchet & Clank fan, this is also a good day. Insomniac Games is getting ready to celebrate the 10th anniversary of Ratchet & Clank, which will be later on this year. An HD remaster of their classic PS2 Ratchet & Clank games is something their fans have requested for a long time, and Insomniac Games is looking forward to granting their wishes this summer with the Ratchet & Clank Collection. But they've also heard a lot of community requests to develop a new Ratchet & Clank game, one that returns to the classic third-person Ratchet & Clank camera. Insomniac Games listened to their requests, and this holiday season Insomniac will release their new Ratchet & Clank game as part of our 10th Anniversary Celebration. 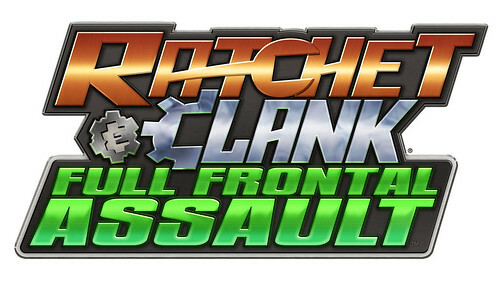 Insomniac Games CEO Ted Price officially announced that Ratchet & Clank: Full Frontal Assault, and will be coming soon to a PS3 near you. "Ratchet & Clank: Full Frontal Assault is a fun-sized Ratchet adventure which will be available for download exclusively on the PlayStation Store. We’ve returned to the series’ classic feel, camera, controls and weapons, while innovating and giving you a whole new way to play. Even better, the addition of online features means you can experience Full Frontal Assault with your friends, so stay tuned! We’re really excited about this game, and we hope even these small tidbits about it get you excited too." "We’ve been hard at work on Ratchet & Clank: Full Frontal Assault and now we’re giving you a sneak peek at this first piece of art to give you a taste of what we have in store for you when the game launches later this year. 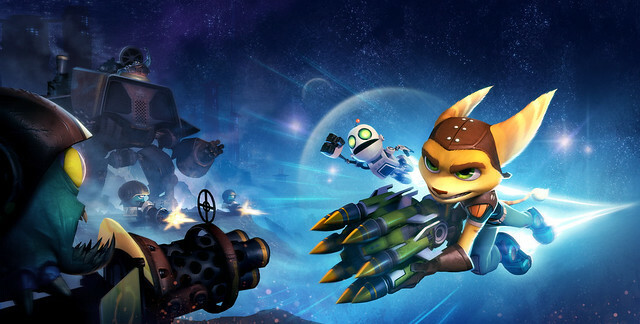 In the meantime, we hope you pick up the Ratchet & Clank Collection when it comes out this summer. We’ll have some more news on the Collection’s release date and a special surprise for North American fans coming in the next couple of weeks."